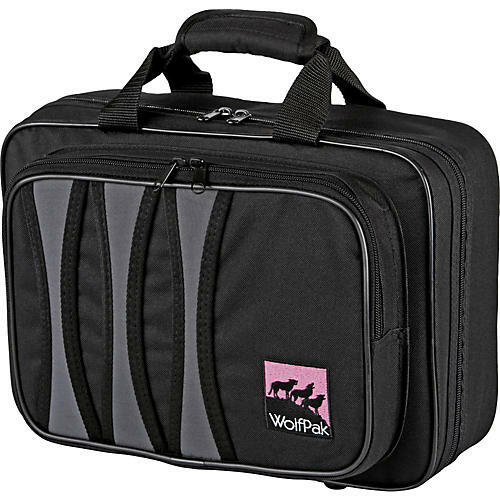 With the perfect combination of protection and features, this Wolfpak clarinet case is just what you're looking for. With a super tough nylon exterior, padded wrap-around handle, heavy duty shoulder strap, and extra soft plush lining, it's designed to keep your valuable instrument safe and sound. The zippered accessory compartment has ample room for all your accessories.